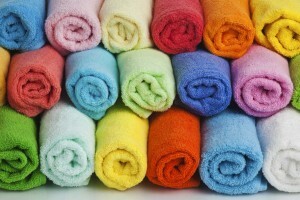 Learn why microfiber products are the most cleaning products for your business. If you are currently cleaning your business with regular mops, there is a chance that these mops may not be washing your floors as well as they seem to be! An excellent alternative for thoroughly cleaning every surface of your business is to use microfiber mops instead. These simple but powerful mops are useful tools for keeping your business sanitary and free of dust throughout the year. Not only will microfiber cleaning products keep your business clean, but they will also serve as an excellent green initiative for your business. As you are preparing to clean your business for the upcoming fall and winter months, consider why microfiber mops by Lord Baltimore are the best choice for cleaning your business this season. Microfiber mops are excellent tools for reducing bacteria in your business. These mops are also a perfect solution for keeping the surfaces of your business free of dust with simple cleanings throughout the week. Microfiber materials are also ideal for restaurants and medical settings because they do not require harsh chemicals for cleaning like regular mops. This bonus makes them both a healthy and cost-efficient cleaning option for any business! In choosing to work with Lord Baltimore for your microfiber cleaning materials, your microfiber cleaning materials will be well organized and sanitized for cleaning your business. As we organize your materials, we color-code your wet mops so that you can distinguish them easily. This step is crucial for preventing cross-contamination in your business. We also include microfiber dust mops with your materials, as well as surface dusting cloths so you can keep your surfaces free of dirt and dust this season. We also offer hysorb mops for any heavy-duty cleanups throughout the year. With freshly laundered and professionally maintained microfiber materials, you are well equipped for managing dust and infection in your business this season. Because these mops do not require chemicals for cleaning, they are also a sustainable cleaning option to use for your business. For medical facilities or restaurants, cleaning chemicals can be harsh and particularly harmful to individuals in the building. By cleaning your business with high-quality microfiber materials, you can keep your business free of dirt and dust with a better option for the health of everyone within your facility. These mops are also more sustainable than traditional cleaning methods because they require significantly less water than a conventional mop, which also makes cleaning up easy and risk-free in high-traffic areas. To learn more about how microfiber mops can keep your business clean and looking great, please contact Joe Bateman at Lord Baltimore by calling 800-292-1224 or visit LordBaltimoreUniform.com. We also handle towel rental for gyms and salons, as well as apron, towel, uniform and mat rental and purchase for restaurants. Additionally, we also sell and rent uniforms, shop towels, fender covers and mats for manufacturing and automotive industries. This entry was posted on Friday, October 12th, 2018	at 10:33 am	. You can follow any responses to this entry through the RSS 2.0	feed. Both comments and pings are currently closed.